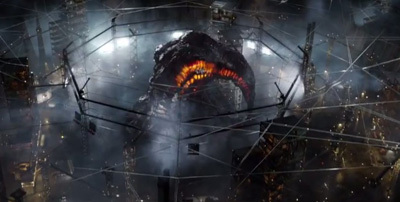 Edwin Davies: Hollywood took a second swing at making an American Godzilla work this weekend and the results were pretty spectacular. Gareth Edward's version opened to $93.2 million, the second biggest opening of the year so far, and is off to a solid start overseas. How do you feel about this result? Were you as surprised by it as seemingly everyone else (including, based on their estimates, Warner Bros.) has been? Bruce Hall: Go, go Godzilla! Sorry...I had to, because you can put me in the "thoroughly surprised" column. Even as more or less a fan of the franchise I wasn't willing to give this more than low sixties, maybe $70 million TOPS. Kaiju films have always been a niche product in the United States, and attempts to "Americanize" them have met with mostly disappointing results. This time, audiences have responded. Whether or not that's a good thing depends on the quality of the already announced sequel. Either way, you can go ahead and put Godzilla down as one of the year's biggest success stories. Matthew Huntley: Surprised, you ask? Not at all, actually, because the teaser and extended trailer for Godzilla were some of the best I've seen in recent memory. Each revealed just enough to build up fan excitement and anticipation and paid off splendidly. Because I see so many trailers at the movies (like all of us do), I feel I've become de-sensitized to how much they can affect me, but Godzilla's did just the opposite and I'm guessing it wasn't just me.